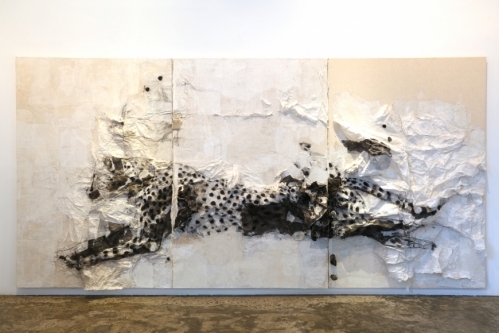 Lin Yan is included in the group exhibition, In Perspective, at Chambers Fine Art, New York. The exhibition focuses on the practices of Lin Yan, Song Xin and Cui Fei, three established artists who were born in China, but have chosen to live in the United States for a significant period of time. It explores the multiple ways in which these three artists draw on the cultural traditions and references of both the East and West, and examines the similarities and connections between these artists' works. The exhibition will include the work Embracing Stillness (2013), which had been previously presented at the Prow Art Space, New York. It also includes Lin Yan's casts of bricks, roof tiles, and other urban surfaces, which were made from Xuan paper and ink. By moulding features of the architecture of both cities, Lin Yan's process is one that expresses her relationship to these environments.